Participate offers a variety of free professional development resources for teachers. Last month I featured one of their free online book clubs. Today, I'm featuring Participate's free collections service. 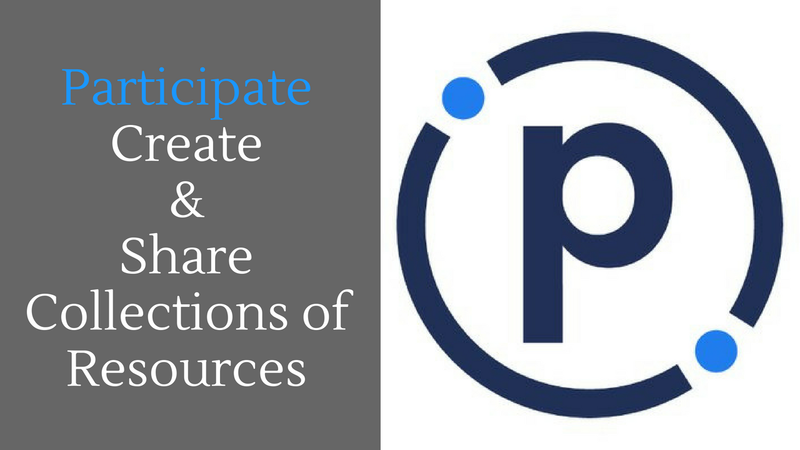 Participate Collections provides you with a place to create organized collections of resources. You can make your collections on your own or invite colleagues to build collections with you. The collections that you make on Participate can be kept private or you can share them for others to see. Click here to take a look at the public gallery of Participate Collections. Watch my video that is embedded below to see you can create and share resource collections on Participate. Participate Collections could be great for assembling sets of resources with colleagues in your school or department. As I tested the Collections feature I thought it would be a great tool for making collections of resources aligned to units of study. I can also see teachers using it to create collections of resources that are aligned to standards.